In January 2017, The Joint Commission began using a new scoring process featuring the Survey Analysis for Evaluating Risk (SAFER) Matrix, which is designed to help healthcare organizations identify the level of risk associated with survey deficiencies. During this 90-minute on-demand webinar, accreditation expert Jean S. Clark, RHIA, will explain how the SAFER Matrix works and how hospitals can better prepare for the accreditor’s new scoring methodology. Jean S. Clark, RHIA, has been a leader in the field of accreditation and regulatory compliance and health information management for more than 30 years. She graduated with honors from the Medical University of South Carolina School of Health Related Sciences. 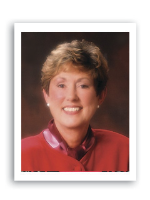 She served as the president of the American Health Information Management Association (AHIMA), the International Health Information Management Association, and the Southeastern Medical Record Association, as well as serving two terms for the South Carolina Health Information Management Association (SCHIMA). She also received AHIMA’s Distinguished Member, Literary, and Volunteer awards and the Southeastern Medical Record Association and SCHIMA Distinguished Member award. She is a well-known author and speaker on accreditation and regulatory compliance. Clark lives in Charleston, South Carolina. Participation in the webinar is just $199 per site. All materials must be retrieved from the Internet.